ihatestickers : ihatestickers.com, Your number one online source for edgy stickers. 100% Love Stickers. Occupy ihatestickers.com diecut sticker. Boo Yah. All-Star graphics logo. Show your support and place this sticker on anything you like. Cut from high quality vinyl. 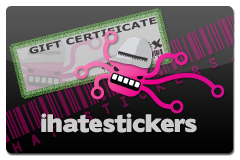 Gift Certificate for ihatestickers.com available in several different amounts. Give the gift of stickers! I Heart Stickers Shirt. 100% Soft-Style Cotton, Muscle-style fit. Show off your love for ihatestickers with a totally awesome t-shirt! ihatestickers loves my stickers printed sticker. We love your stickers! ihatestickers.com All Your Sticker Are Belong To Us printed sticker. Some of you probably don't even understand this sticker, but that's OK! ihatestickers.com Barcode V2 Printed Sticker. Soon to be available in many different colors and styles! ihatestickers.com printed cyan rectangle sticker. Super Awesome! New for 2010! ihatestickers.com graffiti style sticker! Support the site! Designed by Big Evan. ihatestickers.com graffiti version 2 outline sticker! Designed by Big Evan Cut from high quality vinyl graphics materials. New ihatestickers version 3 graffiti logo sticker designed by Big Evan! ihatestickers hex pattern printed bumper sticker. Check out the cool design! Get your I Hate Stickers mascot, Hex! Ihatestickers.com Juicy Fruit Printed Sticker. Just like Juicy Fruit, all different colors in on package! Printed on high quality vinyl material. ihatestickers.com magenta rectangle printed stickers. Hex is hiding in the background! ihatestickers.com splatter rectangle printed sticker. Pretty sick rectangle design for you guys to slap and support your favorite sticker company! ihatestickers.com stencil diecut sticker. This is a new sticker that our designer created! Occupy ihatestickers diecut sticker. 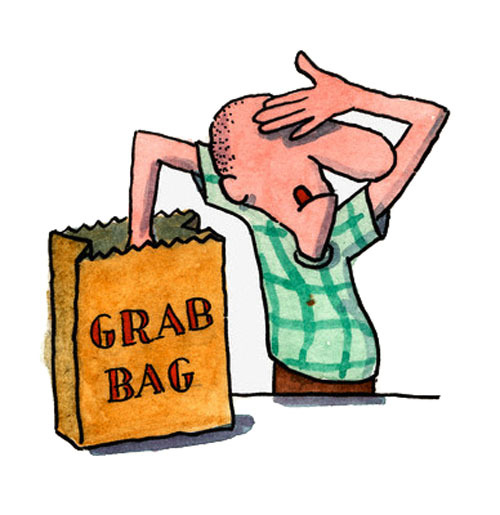 Now you can have your own twitter hash sticker and occupy ihatestickers! Zombie Hex Sticker! AHHH ZOMBE HEX A PUS! Printed on high quality vinyl material.